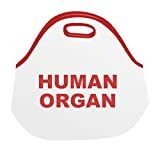 The cool new Human Organ For Transplant - Insulated Lunch Tote not only sends a disturbing message to co-workers to stay clear of your lunch, but they may just think you're a possible cannibal as well. 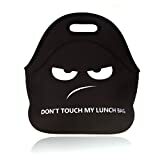 This is fine with me it that's what it takes to prevent breakroom lunch theft, plus it's just funny. 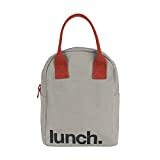 It's also the perfect back to school lunch bag for any young zombie students out there. 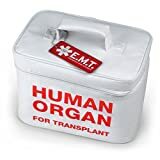 Note: Not for transporting real human organs for emergency transplant. 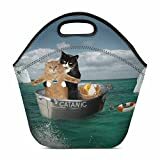 Food, beer and other beverages only please.